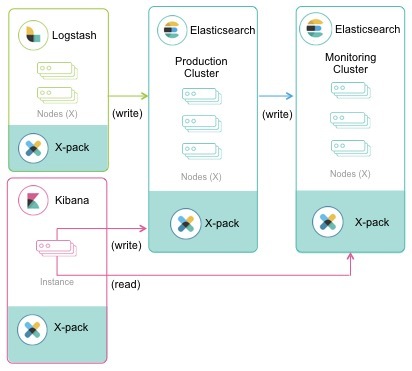 Monitoring collects data from Elasticsearch nodes, Logstash nodes, and Kibana instances. 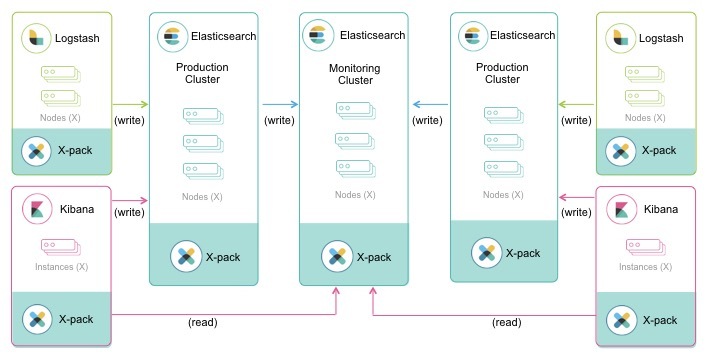 The Elasticsearch cluster you are monitoring controls where the monitoring metrics for the entire stack are stored. By default, they are stored in local indices. In production, we strongly recommend using a separate monitoring cluster. 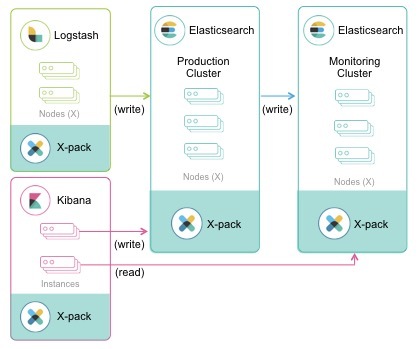 Using a separate monitoring cluster prevents production cluster outages from impacting your ability to access your monitoring data. It also prevents monitoring activities from impacting the performance of your production cluster.